Watch this one-minute video to take a tour! Internet car-buying sites don’t improve the sales process for consumers or the industry. The next wave will be Locate-to-Order retail channels that accelerate the online sales and distribution efficiency. Have you decided on the car of your dreams? Let Trovarr find it for you and deliver it to your door or to Capitol Credit Union. With Capitol Credit Union’s Locate-to-Order concierge service, you can place a preference on any pre-owned vehicle – one to four years old with less than 50,000 miles, or new car lease. 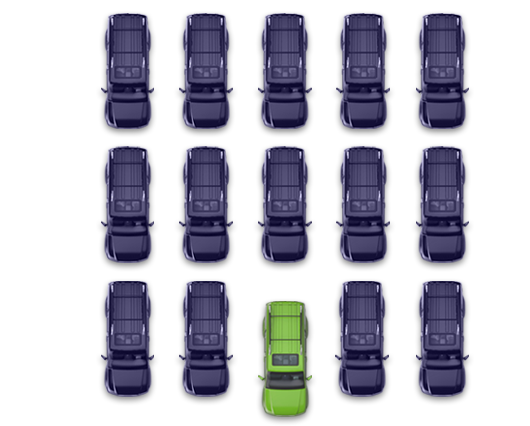 Trovarr will search its national network of factory sales and find the vehicle you want, customized to your exact specifications. No More Compromising. Get the vehicle you want from the credit union you trust! No waiting in line. All paperwork is ready at delivery! 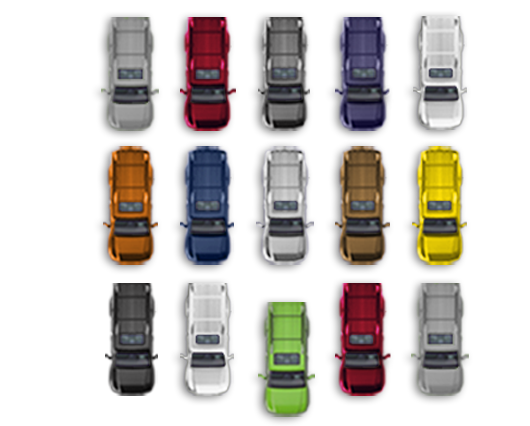 Click Locate-to-Order or New Car Leasing to register your vehicle preferences. A Trovarr representative will call to discuss preferences and payment method. 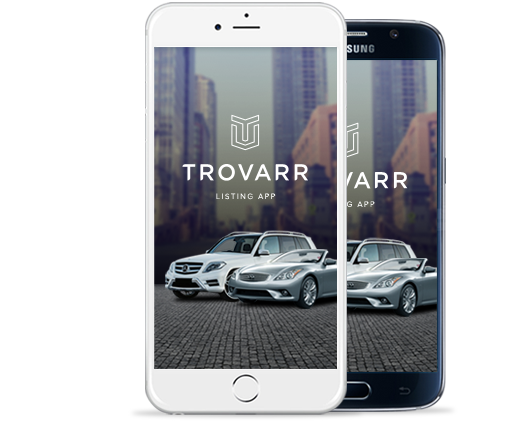 Trovarr will locate your vehicle and call you to confirm the details. 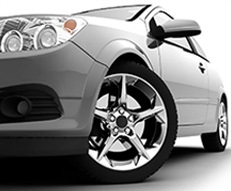 Receive your car with a CarFax report and a copy of the vehicle inspection. Just Plain Cool – Available Now & Coming Soon! $750 gift certificate from Nordstrom, Cabela’s, or Amazon! Share this cool service and earn 3 extra entries in our drawing. CCU has contracted with Trovarr to provide the Locate-to-Order service to CCU members. Trovarr is solely responsible for the Locate-to-Order service. CCU is available to assist qualified members with financing or lease options. 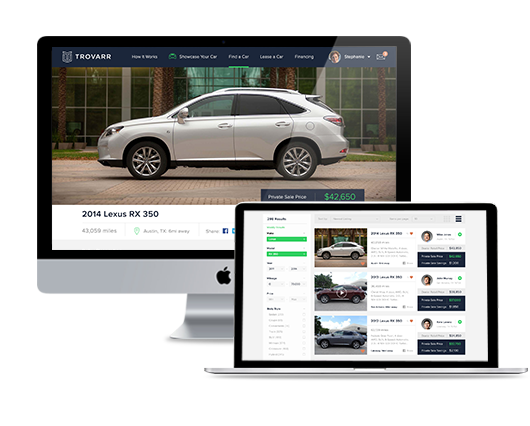 Trovarr exists to solve the shortcomings of the traditional vehicle buying and selling experience by offering an online ecosystem carefully constructed to connect every person, dealer and lender with their absolute best options for buying, selling, leasing or financing a vehicle, all within a safe, guided online experience. The “Site” means any website, mobile application, or Internet service under the control of Company, whether partial or otherwise, in connection with providing an online platform for Company’s services. Personal Information Collection. You must register to use the Site. To register, you must provide Personal Information, such as your first and last name, telephone number, address, and email address. You must also provide your credit union membership, if any, and indicate whether you are seeking to buy, sell or lease a Vehicle and the desired time frame for your Transaction. If you are selling/trading in a Vehicle, you will also need to provide information about your Vehicle, such as the VIN, year, make, model, mileage, and clear title. If you are currently making payments on a loan for your Vehicle, you will also provide information about such loan, such as the loan agreement and your payoff amount. Using the Site. We collect information you post through the Site. The Credit Union may choose to communicate through the Site to request and collect required documentation for completing a loan or purchase transaction. Internal and Service-Related Usage. We use information, including Personal Information, for internal and service-related purposes only and may provide it to third parties to allow us to facilitate the Site. 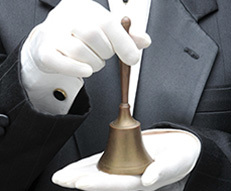 We may use and retain any data we collect to provide and improve our services. Marketing. We may use information, including Personal Information, to provide online advertising on the Site and to facilitate transmittal of information that may be useful, relevant, valuable or otherwise of interest to you. Displaying to Leasing Companies. When you make a leasing offer for a Vehicle, we will provide the Leasing Company with your name, your Affiliated Credit Union, email address, phone number, desired leasing price, zip code, city, and state. We are not responsible for privacy practices of Leasing Companies who will view and use the posted information; provided, however, that we require Leasing Companies to only use information about Buyers strictly to facilitate the lease of a Vehicle. Social Networking and Other Websites. The Site may allow you to share information, including Personal Information, with social networking websites. We do not share your Personal Information with them unless you direct the Site to share it. Their use of the information will be governed by their privacy policies, and you may be able to modify your privacy settings on their websites. Search Engines. Inventory on the Site may appear in search engineer results. The personal information on the Seller is limited to site visitors who are not registered or signed in. Personal information displayed includes Seller name, city, and zip code. Site visitors must sign in to view contact information. Marketing. We do not rent, sell, or share Personal Information about you with other people or nonaffiliated companies for their direct marketing purposes, unless we have your permission. We may allow access to other data collected by the Site to enable the delivery of online advertising on this website, or otherwise facilitate transmittal of information that may be useful, relevant, valuable or otherwise of interest to you. 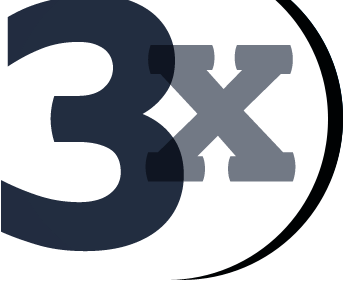 Merger, Sale, or Other Asset Transfers. If we are involved in a merger, acquisition, financing due diligence, reorganization, bankruptcy, receivership, sale of company assets, or transition of service to another provider, then your information may be sold or transferred as part of such a transaction as permitted by law and/or contract. We cannot control how such entities may use or disclose such information. By using the Site or providing Personal Information to us, you agree that we may communicate with you electronically regarding security, privacy, and administrative issues relating to your use of the Site. If we learn of a security system’s breach, then we may attempt to notify you electronically by posting a notice on the Site or sending an email to you. You may have a legal right to receive this notice in writing. To receive free written notice of a security breach (or to withdraw your consent from receiving electronic notice), please notify us at support@trovarr.com. We do not knowingly collect, maintain, or use Personal Information from children under 13 years of age, and no part of the Site is directed to children under the age of 13. If you learn that your child has provided us with Personal Information without your consent, then you may alert us at support@trovarr.com. If we learn that we have collected any Personal Information from children under 13, we will promptly take steps to delete such information and terminate the child’s account. No Purchase Necessary; Entry Instructions. NO PURCHASE OR PAYMENT OF ANY MONEY IS NECESSARY TO ENTER. A PURCHASE WILL NOT IMPROVE THE CHANCES OF WINNING. To participate in the Capitol Credit Union Sweepstakes during the Promotion Period (as defined below) (i) register athttps://ccutx.trovarr.com/#registrationor (ii) send a 3x5 card with your name, address and email address to: Capitol Credit Union Sweepstakes, [1300 Sparrow Lane Austin, TX 78734] (collectively, the “Entry”). One Entry per person. On or about February 15th, 2017,- Sponsor will select the winner. Multiple participants are not permitted to share the same email address or post card. Any attempt by any participant to obtain more than the stated number of entries by using multiple/different addresses, accounts, identities, registrations and logins, or any other methods will void that participant's entries and that participant may be disqualified. Use of any automated system to participate is prohibited and will result in disqualification. In the event of a dispute as to any entrant, the authorized account holder of email address or the associated with the postcard will be deemed to be the registrant. The “authorized account holder” is the natural person assigned the email address by an Internet access provider, online service provider or other organization responsible for assigning email addresses for the domain associated with the submitted address. Potential winner may be required to show proof of being the authorized account holder. Sponsor shall have the right to determine the identity of a potential winner in its sole discretion. Promotion Period. This promotion begins at 9:00 am CTon November15th, 2016 and ends at5:00 pm CTon January 31st, 2017 (the “Promotion Period”). Sponsor’s computer is the official time-keeping device for the promotion. Time and eligibility of Entry will be determined by Sponsor in its sole discretion. All online entries must be received during the Promotion Period. Mail-in postcard entries must be postmarked as sent during the Promotion Period and received by Sponsorwithin 7 daysof the end of the Promotion Period. Eligibility. The Trovarr Capitol Credit Union Sweepstakes is open only to individuals who are legal residents of the 50 United States or the District of Columbia, 21 years of age or older, and a member of a participating credit union. The following individuals are not eligible: employees, contractors, directors and officers of Trovarr ("Sponsor"), participating credit unions, their respective parent, subsidiaries and affiliated companies, distributors, web design, marketing, advertising, and fulfillment agencies and other individuals and entities involved in the administration, development, fulfillment and execution of this Sweepstakes collectively, ("Sponsor & Others"), the household members and the immediate family members (spouse, parent, child, sibling, spouse, grandparent or "step" of each) and those living in their households. Prize. Winner will receive a $750 Amazon, Nordstrom, or Cabela’s gift card. The selection of prize will be based upon the preference set during registration and may not be changed. No substitution, assignment or transfer of the prize is permitted, except by Sponsor, who has the right to substitute a prize with another of comparable or greater value. Winner is responsible for all taxes and fees associated with the receipt and/or use of the prize. Winner. There will be one winner selected. Winner will be selected by a random-chance drawing. The chances of winning depend upon the number of entries received. Sponsor will attempt to notify winner by email or U.S. Mail at the address associated with a winner’s entry form, and/or by other means within approximately ten (10) days following the drawing. 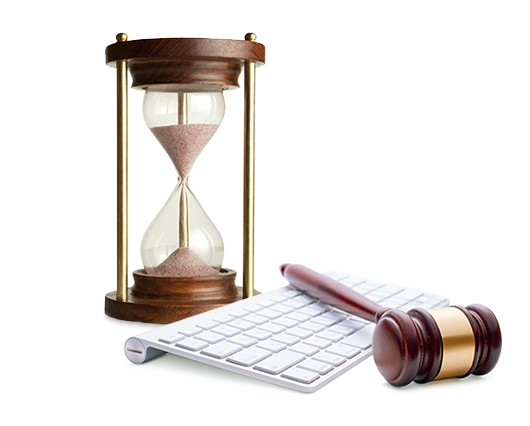 Sponsor is not responsible for any delay or failure to receive notification for any reason, including inactive account(s), technical difficulties associated therewith, or winner’s failure to adequately monitor any email account. Winner must then respond to Sponsorwithin 5 days. Should winner fail to respond to Sponsor, Sponsor reserves the right to disqualify that winner and select a new one in a second-chance random drawing. Except where prohibited, participation in the promotion constitutes participant’s consent to Sponsor’s use of participant’s name, likeness, voice, opinions, posts, tweets, biographical information, and residence for promotional purposes in any media without further payment or consideration. Winner may be required to sign an affidavit of eligibility, liability release and a publicity release that, among other things, will further allow Sponsor to use a winner’s name, likeness, voice, opinions, posts, tweets, biographical information, and residence for publicity and promotional purposes without further compensation where permitted by law. Conditions of Participation. By submitting an entry for this promotion, you agree to abide by these rules and any decision Sponsor makes regarding this promotion, which Sponsor shall make in its sole discretion. Sponsor reserves the right to disqualify and prosecute to the fullest extent permitted by law any participant or winner who, in Sponsor’s reasonable suspicion, tampers with Sponsor site, the entry process, intentionally submits more than a single entry, violates these rules, or acts in an unsportsmanlike or disruptive manner. Disclaimer, Release and Limit of Liability. SPONSOR MAKES NO REPRESENTATIONS OR WARRANTIES OF ANY KIND, EXPRESS OR IMPLIED, REGARDING ANY PRIZE OR YOUR PARTICIPATION IN THE PROMOTION. BY ENTERING THE PROMOTION OR RECEIPT OF ANY PRIZE, EACH ENTRANT AGREES TO RELEASE AND HOLD HARMLESS SPONSOR, AND ITS SUBSIDIARIES, AFFILIATES, SUPPLIERS, DISTRIBUTORS, ADVERTISING/PROMOTION AGENCIES, AND PRIZE SUPPLIERS, AND EACH OF THEIR RESPECTIVE PARENT COMPANIES AND EACH SUCH COMPANY’S OFFICERS, DIRECTORS, EMPLOYEES AND AGENTS (COLLECTIVELY, THE “RELEASED PARTIES”) FROM AND AGAINST ANY CLAIM OR CAUSE OF ACTION, INCLUDING, BUT NOT LIMITED TO, PERSONAL INJURY, DEATH, OR DAMAGE TO OR LOSS OF PROPERTY, ARISING OUT OF PARTICIPATION IN THE PROMOTION OR RECEIPT OR USE OR MISUSE OF ANY PRIZE. THE RELEASED PARTIES ARE NOT RESPONSIBLE FOR: (1) ANY INCORRECT OR INACCURATE INFORMATION, WHETHER CAUSED BY ENTRANTS, PRINTING ERRORS OR BY ANY OF THE EQUIPMENT OR PROGRAMMING ASSOCIATED WITH OR UTILIZED IN THE PROMOTION; (2) TECHNICAL FAILURES OF ANY KIND, INCLUDING, BUT NOT LIMITED TO MALFUNCTIONS, INTERRUPTIONS, OR DISCONNECTIONS IN PHONE LINES OR NETWORK HARDWARE OR SOFTWARE; (3) UNAUTHORIZED HUMAN INTERVENTION IN ANY PART OF THE ENTRY PROCESS OR THE PROMOTION; (4) TECHNICAL OR HUMAN ERROR WHICH MAY OCCUR IN THE ADMINISTRATION OF THE PROMOTION OR THE PROCESSING OF ENTRIES; OR (5) ANY INJURY OR DAMAGE TO PERSONS OR PROPERTY WHICH MAY BE CAUSED, DIRECTLY OR INDIRECTLY, IN WHOLE OR IN PART, FROM ENTRANT’S PARTICIPATION IN THE PROMOTION OR RECEIPT OR USE OR MISUSE OF ANY PRIZE.WINNER MUST BE AWARE THAT USE OF THE TRAVEL PRIZE CAN BE HAZARDOUS AND CAN PRESENT UNUSUAL RISKS OF DEATH, SERIOUS ILLNESS AND INJURY, AND PROPERTY DAMAGE. WINNER PARTICIPATES IN USE OF THE PRIZE WITH KNOWLEDGE OF THE DANGER INVOLVED AND AGREES TO ACCEPT ANY AND ALL RISKS OF DEATH, SERIOUS ILLNESS AND INJURY, AND PROPERTY DAMAGE. Sponsor reserves the right at its sole discretion to cancel, terminate, modify or suspend the promotion, including if for any reason it is not capable of running as planned, including infection by computer virus, bugs, tampering, unauthorized intervention, fraud, technical failures, or any other causes which corrupt or affect the administration, security, fairness, integrity, or proper conduct of the promotion. If for any reason an entrant's entry is confirmed to have been erroneously deleted, lost, or otherwise destroyed or corrupted, entrant’s sole remedy is another entry in the promotion, provided that if it is not possible to award another entry due to discontinuance of the promotion, or any part of it, for any reason, Sponsor, at its discretion, may elect to hold a random drawing from among all eligible entries received up to the date of discontinuance for any or all of the prizes offered herein. No more than the stated number of prizes will be awarded. In event that production, technical, programming or any other reasons cause more than stated number of prizes as set forth in these Official Rules to be available and/or claimed Sponsor reserves the right to award only the stated number of prizes by a random drawing among all legitimate, unawarded, eligible prize claims. GOVERNING LAW AND DISPUTES: THESE OFFICIAL RULES AND THE PROMOTION ARE GOVERNED BY, AND WILL BE CONSTRUED IN ACCORDANCE WITH, THE LAWS OF THE STATE OF TEXAS, AND THE FORUM AND VENUE FOR ANY DISPUTE ARISING OUT OF OR RELATING TO THESE OFFICIAL RULES SHALL BE IN THE COUNTY OF BEXAR, TEXAS. IF THE CONTROVERSY OR CLAIM IS NOT OTHERWISE RESOLVED THROUGH DIRECT DISCUSSIONS OR MEDIATION, IT SHALL THEN BE RESOLVED BY FINAL AND BINDING ARBITRATION ADMINISTERED BY JUDICIAL ARBITRATION AND MEDIATION SERVICES, INC., IN ACCORDANCE WITH ITS STREAMLINED ARBITRATION RULES AND PROCEDURES OR SUBSEQUENT VERSIONS THEREOF (“JAMS RULES”). THE JAMS RULES FOR SELECTION OF AN ARBITRATOR SHALL BE FOLLOWED, EXCEPT THAT THE ARBITRATOR SHALL BE EXPERIENCED AND LICENSED TO PRACTICE LAW IN TEXAS. ANY SUCH CONTROVERSY OR CLAIM WILL BE ARBITRATED ON AN INDIVIDUAL BASIS, AND WILL NOT BE CONSOLIDATED IN ANY ARBITRATION WITH ANY CLAIM OR CONTROVERSY OF ANY OTHER PARTY. ALL PROCEEDINGS BROUGHT PURSUANT TO THIS PARAGRAPH WILL BE CONDUCTED IN THE COUNTY OF BEXAR, TEXAS. THE REMEDY FOR ANY CLAIM SHALL BE LIMITED TO ACTUAL DAMAGES, AND IN NO EVENT SHALL ANY PARTY BE ENTITLED TO RECOVER PUNITIVE, EXEMPLARY, CONSEQUENTIAL, OR INCIDENTAL DAMAGES, INCLUDING ATTORNEY’S FEES OR OTHER SUCH RELATED COSTS OF BRINGING A CLAIM, OR TO RESCIND THIS AGREEMENT OR SEEK INJUNCTIVE OR ANY OTHER EQUITABLE RELIEF. Winner’s List. Individuals may request the name of the winner by submitting a self-addressed stamped envelope prior to February 15th, 2017 to Trovarr Capitol Credit Union Sweepstakes, Winner’s List Request, 1300 Sparrow Lane, Austin. TX 78734. Vermont residents may omit postage. No Affiliation with Cabela’s, Nordstrom, or Amazon. Cabela’s, Nordstrom, and Amazon are not a sponsor of, or in any way affiliated with, this promotion. Register to Win! $750 gift certificate from Nordstrom, Cabela’s, or Amazon!